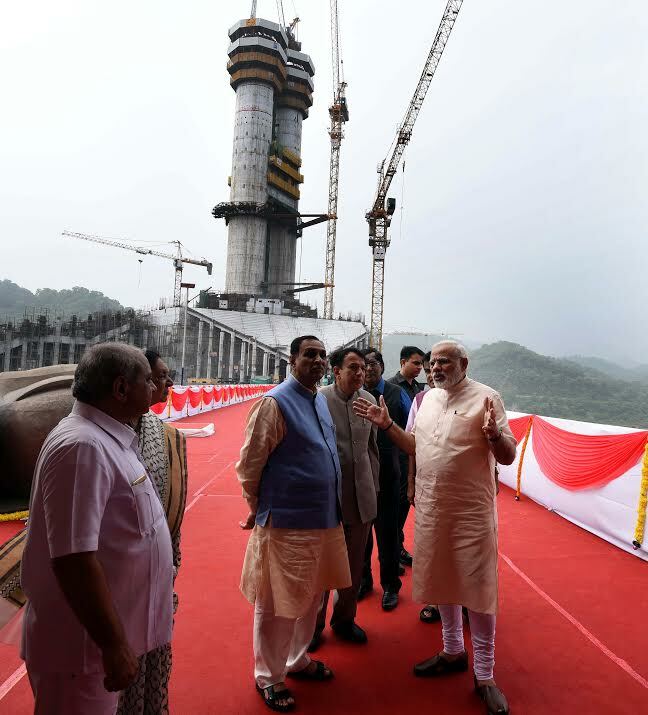 Bharuch: Prime Minister Mr.Narendrabhai Modi, on his 67th birthday, personally visited the progress of the ‘Statue of Unity’ which is being built in the memory of the Iron Man of India SardarVallabhbhai Patel at Sadhu Bet in the Narmada River Valley after inaugurating the SardarSarovar Dam. Minister for Road Transport & Highways for the Central Government Mr.NitinGadkari, Gujarat Chief Minister Mr.Vijay Rupani, Deputy Chief Minister Mr.Nitinbhai Patel, former Chief Minister Mrs.Anandiben Patel and the Chairman of SardarSarovar Nigam Limited Mr. S.S Rathore were present during the visit of the PM who obtained a detailed information regarding the progress of the work and suggested some useful guidelines for the same. The dream of Mr.Modi to honor and pay a tribute to the Iron Man of India, who is a torchbearer of unity and integrity of the nation, is nearing completion with whole hearted support and co-operation from each and every part of the nation. 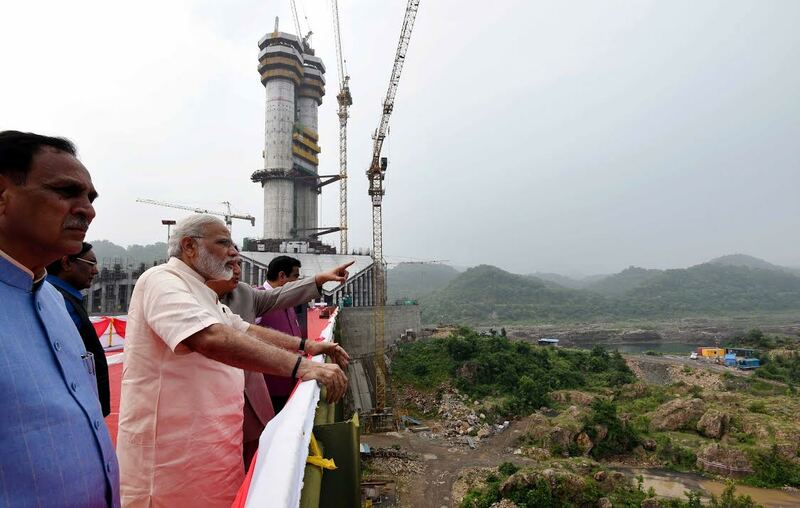 This project is a means to unite the country to pave a path to make India a Global Leader in the days to come. There is also a provision of Rs. 176 crores under the ‘Statue of Unity’ project to build ‘Shresth Bharat Bhavan’ that reflects the life of Sardar Patel through multi-media, accounts of freedom struggle, along with study and research material etc. The work for the same is under progress and it had been inaugurated by the former Chief Minister of Gujarat Mrs. Anandiben Patel on 31st October, 2014. The estimated cost of the entire project is Rs. 2989 crores. 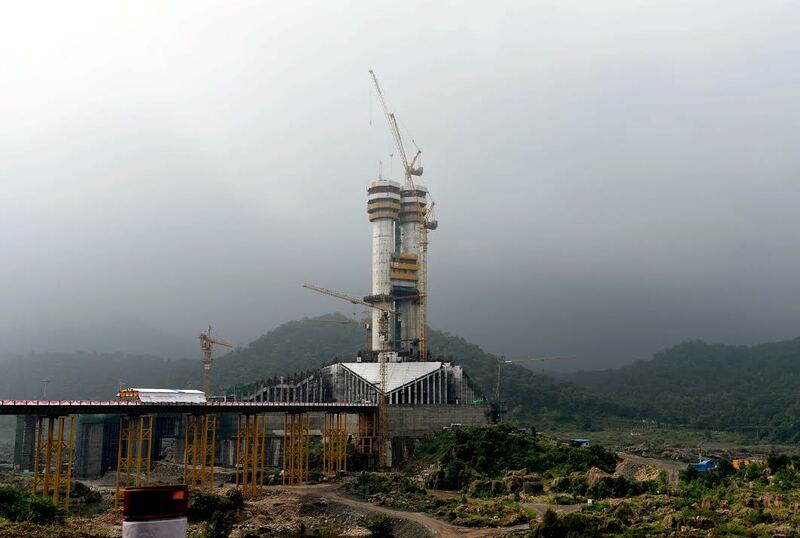 The Statue of Unity will become the World’s Tallest Statue with a total height of 240 meters upon completion. It is being constructed in an area of 20, 000 sq. meters. The idea was conceptualized by the Prime Minister himself when he was the Chief Minister of Gujarat. 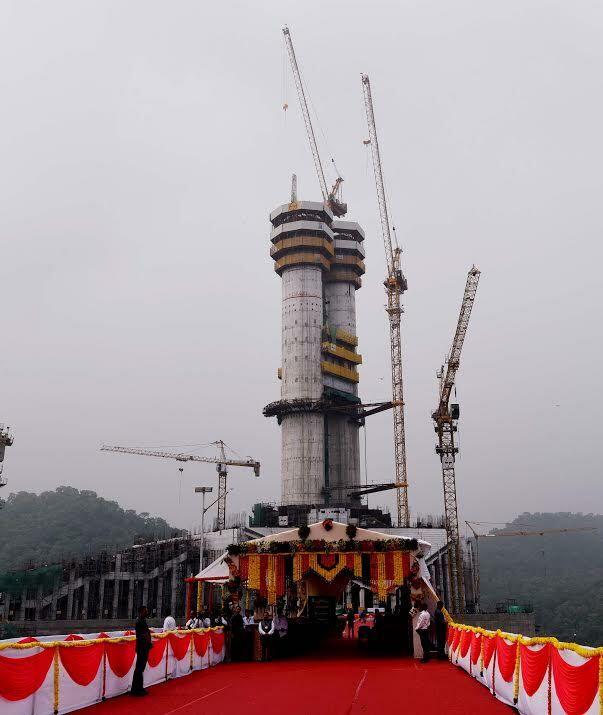 The government plans to finish the entire project by 31st October, 2018.